Today's Family Now: Does Your Child Need Speech Therapy? 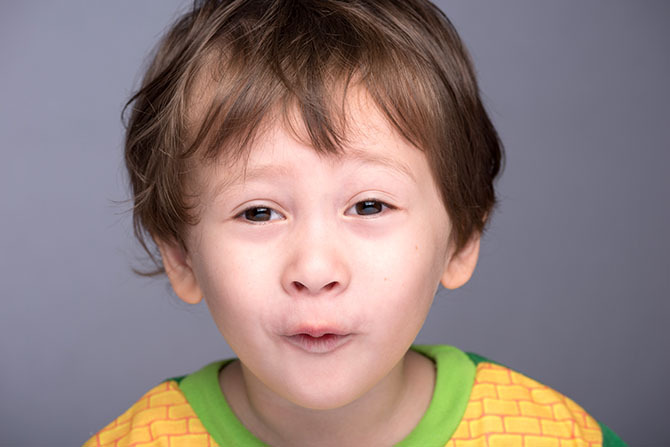 Some early childhood speech errors — like saying “dis” instead of “this” — are age-appropriate and normal, but other issues may need to be addressed with speech therapy. Speech Language Pathologist Tonya Johnson gives advice about when to set up an evaluation. Can strangers understand at least 75 percent of what your child says? As your child turns 3, does she use three- and four-word sentences? As the child nears age 4, are her sentences increasing in detail and length? Can your child answer questions, and does he rely mainly on words versus actions to communicate? Does she get frustrated or avoid speaking due to not being understood? If you suspect that your child needs speech therapy, contact your local school district to set up an evaluation.